Lightweight, smooth and designed to keep feet fresher, New Balance Active Elements Ultra No Show Socks are perfect shoe liners for the summer. These colourful, ultra-low-cut ‘pockets’ for your feet are packed full of fabric tech… but still with room for you! NB Dry provides moisture wicking, and with NB Fresh, your socks will resist odours forming too! 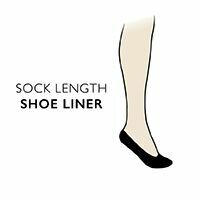 The socks, which come as a mixed colour marl triple pack, and in men’s and ladies fits, have mesh construction for increased breathability, and a specially-shaped, reinforced Y-heel pocket that helps keep the socks comfortably in place. NB Dry Moisture Wicking; NB Fresh resists odors. Mesh ventilation;. Mesh ventilation; Reinforced Y-heel pocket helps keep sock in place.